Hey there! My name is Miranda Eastwood, (I am also under the username LonLonLady on Etsy) and I love all things art! 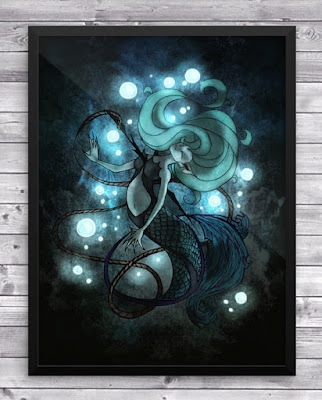 I also love the video game series The Legend of Zelda, and have a second shop dedicated to prints inspired by the games. Just look for my shop under "LonLonLady" and you might just find something you like! 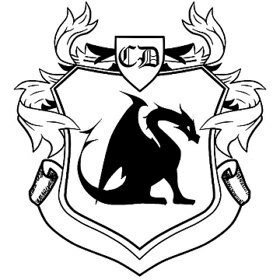 If you're more of a fan of fantasy in general, I hope you look to my other shop, Clockwork Dragon, to find something that might pique your interest. The shop is full of my original art pieces and fun prints, and serves as a creative outlet for all my pent-up inspiration. 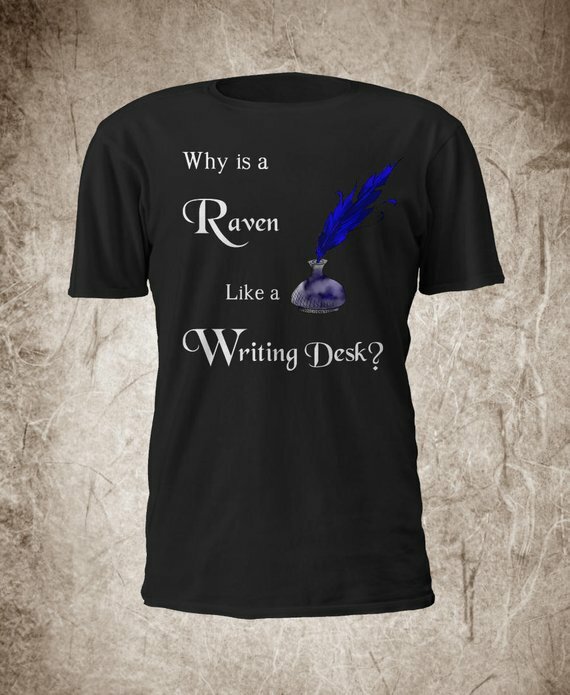 To sum it all up, I’m a part-time artist, part-time writer, and full-time student from a small town in Eastern Canada. I moved to the city a while ago in order to be closer to school, but when I’m not tied down by classes, I’m often on the move, looking for inspiration for my Etsy shop, as well as my other projects. I think the driving force behind my work comes down to stories. I see stories, I read them, I hear about them through music, and designs begin to take shape. Although, admittedly, I often put pencil to paper without any real plan in mind, taking anything around me as inspiration. I taught myself how to design, from the ground up. 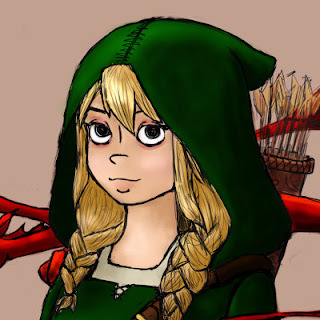 I knew early on that I wanted to get involved with digital art, so I bought myself a cheap drawing tablet and learned to design through trial-and-error. I’ve since upgraded to better hardware and software, though I know now that there’s no replacing pencil and paper when inspiration strikes! That really depends on the day. As I mentioned before, I’m constantly moving around. Sometimes I have my wonderful drafting table to work on (where I develop designs and brainstorm), other times I have just enough room to prop up my laptop as I work on the more technical aspects. 5) How did you fall in love with Steampunk? I fell in love with Steampunk before I even knew what it was. Books, games, even music that I liked seem to have this quirky, mechanical edge that I couldn’t get enough of! Eventually I discovered that there was a term for this kind of style, and since then I’m always on the lookout for inspiration that appeals to my Steampunk side. 6) You also make bookish items, where does your love for books come from? I’ve always been an avid reader. I go through books faster than cookies! And of course, as I mentioned before, I’m quite attached to stories. I’ve recently published a book of my own, with a second one on the way, in addition to posting weekly pages of a graphic novel online, so I feel very close to the subject of books and stories. 7) What's your favorite fairy tale and why? Would "Alice’s Adventures in Wonderland" be considered a fairy tale? I’ve read both books multiple times, and a large part of my inspiration for my own writing has come from Wonderland’s nonsensical universe. As for the more classic fairy tales, I have volumes both from the Brothers Grimm and Hans Christian Anderson, so it’s hard to choose one over the others. Not to mention stories like "Peter Pan" or poems like "The Goblin Market," both of which have also provided me with considerable creative fuel. I was always artistic, but not always technologically savvy. I actually started out making clay charms and figurines, back when I was still in high school. 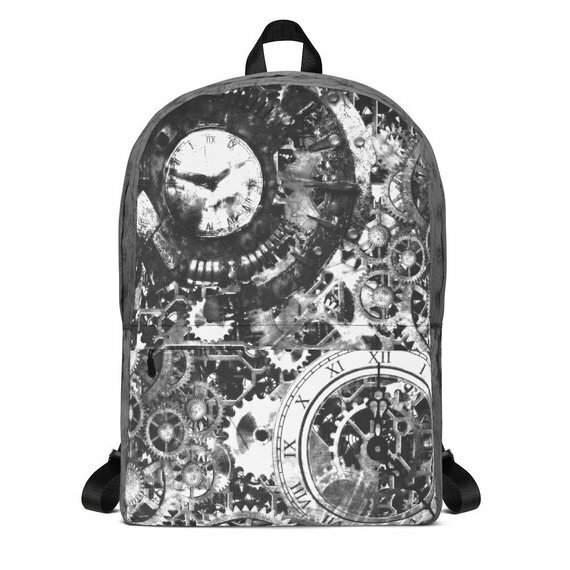 It was only a few years later that I partnered up with a print shop in order to get my hand-drawn designs onto some t-shirts, and since then, I’ve expanded along with that same shop to produce pillows, mugs, phone cases, posters, and more recently, backpacks! Creative freedom. And I’m not just talking about the design process itself. I set my own schedule, fit hours in where I can, and all the while I’m not really tied down to one location at a time. It takes enormous self-discipline at times (something I still have to work on), and of course, much of the responsibility of running a shop, if not all of it, falls on my shoulders. But having a flexible job has allowed me to continue my studies while working, in addition to pursuing my other passions. I think the trade-off is worth it. As for the more distant future, I’m planning on incorporating some designs inspired by my own work into my shop as sort of side project, or even a guilty pleasure. But that, of course, would still be a few months away, at the very least. 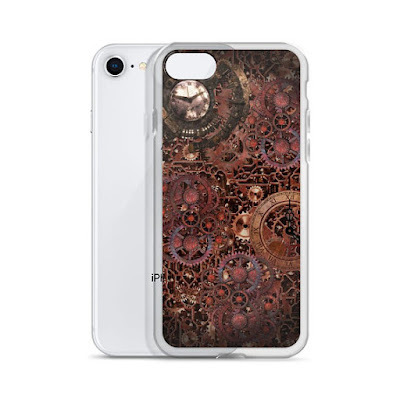 I’ve got some other Steampunk and fairy tale themes to focus on for the holiday season, with new listings popping up every week! 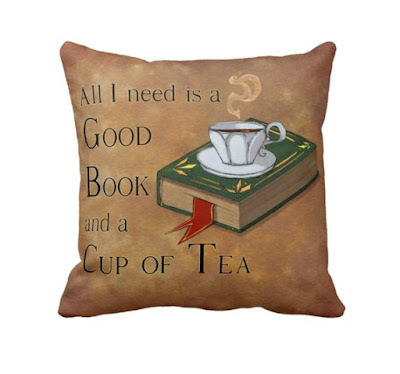 One very lucky reader of With Love for Books will receive an All I need is a Good Book and a Cup of Tea 18x18 inch pillow from Miranda Eastwood. Some great designs, colourful and arty too. Fantastic designs. I especially love the Steampunk one. I love everything in the Etsy shop! 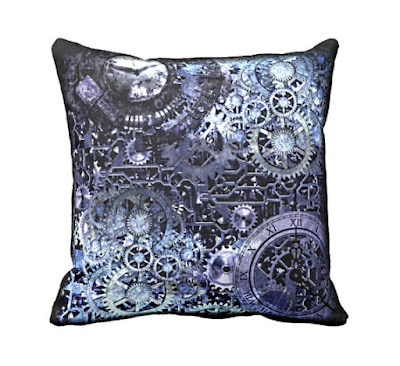 This cushion is so gorgeous! Great designs and I looove the combination of tea and books! your shop is filled with lovely and unusual items - love it! Wonderful items. I love the pillows. Dear Miranda Eastwood, your shop is awesome! Each & every item is cute & quirky. Keep up the great work...! I really like the galaxy leggings and the clock pillows as well! Love so many things in the Esty shop. Everything is so unique and clever. Love these. I love the quote on the pillow. I love all these items especially the pillow that says "All I needis a Good Book and a Cup of Tea". I am so happy that I visited Suze Lavender's facebook page today & saw her post about this give-a-way. 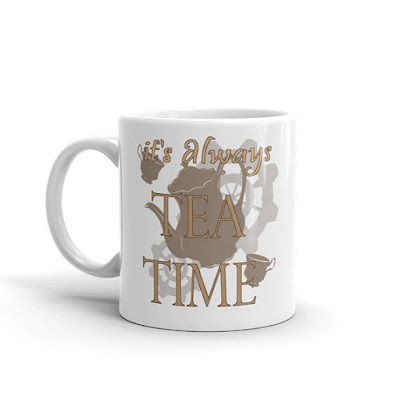 Not just because of the chance to win something, but, now that I've read the interview, I am going to head right over to your Etsy store to explore your Steampunk items! Thanks though for the chance to win that fabulous pillow! I really loved your cushions! Very unique items. 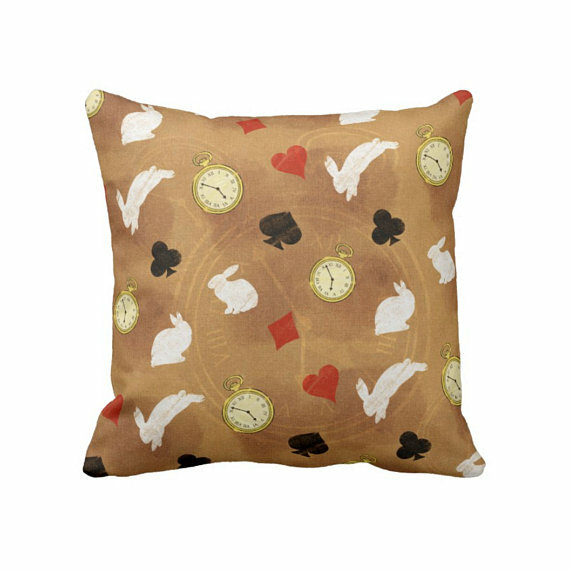 I love this giveaway pillow! Wow these items you have on sale in your store are beautiful! I really enjoyed this interview, I am amazed at how much talent you have. 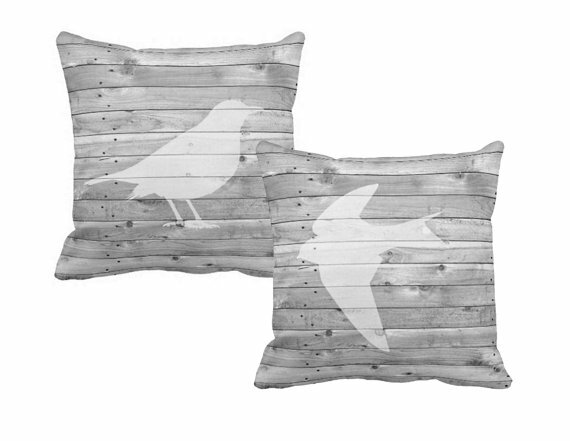 Beautiful designs and I just love your cushions. Beautiful and original designs - glad I've seen them. When you get lost in a book you need the comfort of a good cushion or pillow. I love the cushion it would take pride of place on my sofa if I was lucky enough to win. I love your style! Just the type of accessory I love in my home. Thank you. I love your items! The chesire cat backpack is really cool! Your items are brilliant! I love the Alice in Wonderland bits, especially the Cheshire cat bag. The items in the shop are amazing. Love the Steampunk themed ones. I love the papercraft items you have. I'm enoying creative snailmail at the moment and I love your stamps. Thanks for the lovely giveaway. 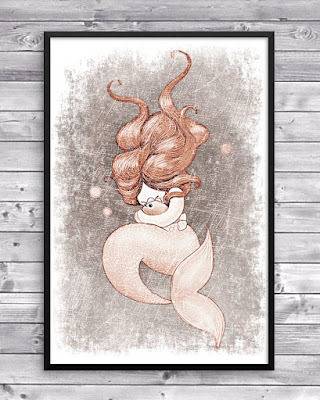 All of the items and their designs in this Etsy shop are so cute & whimsical!